When it comes to making vacation plans with an autistic child, you may be a little overwhelmed! Fear not. Here are my best tips & must have items for how to travel with an autistic child. Traveling with an autistic child can be difficult, especially if you’re on the road for a long period of time or facing a layover on a cross-country flight. It’s not something that I ever entered into lightly and not without plenty of planning and research beforehand. With thanks to The Network Niche Influencer Agency and Fun and Function for sponsoring this conversation; we’re sharing our list of must have items for traveling with an autistic child and including a free printable check list for you! Be sure to chime in with your must have items as well, we’d love to know what our community thinks! Sweet B has been on three family trips. One was made when she was a toddler and that was just with me to visit family in California. She was still young enough that I could manage by myself and the most difficult/trying things that we faced were the layovers in Chicago on the way there and on the way back. The second was a similar trip when she was four. This time it was out to Las Vegas for my grandparent’s wedding anniversary. We had a red-eye flight with no layovers on the way there and a daytime flight with no layovers on the way back. It still wasn’t too bad and she seemed to do just fine. 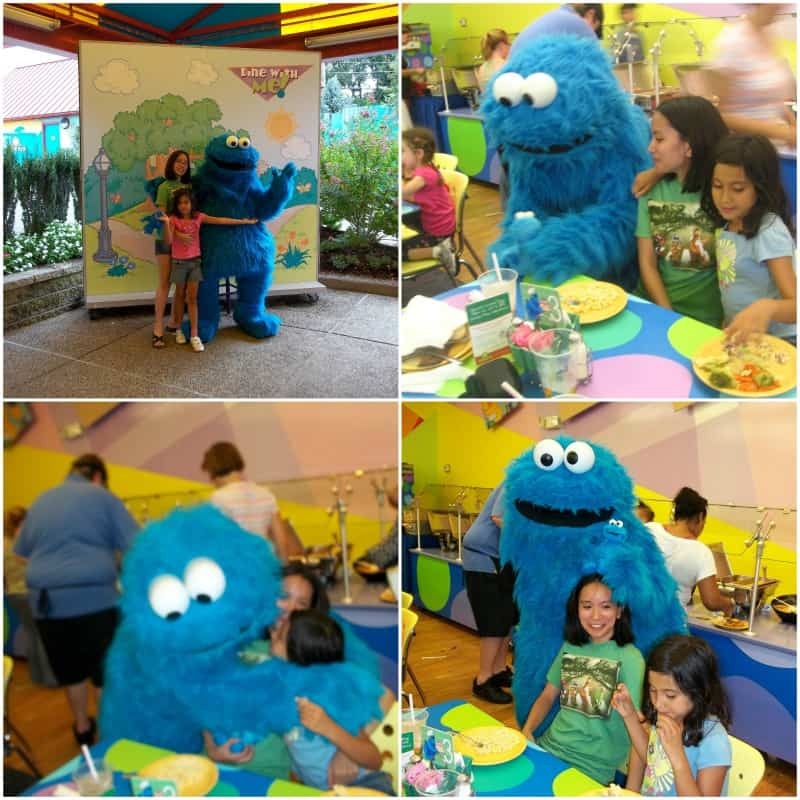 The third was most memorable and was a weekend trip to Sesame Place when she was around eight years old. I would have loved to have taken her to Walt Disney World but expenses and not knowing how much her multitude of sensory issues would factor in; I looked elsewhere for ideas. I talked to other parents about their experiences and kept Sweet B’s interests in mind. She loves water parks and has had a long standing love for The Wiggles and Sesame Street. Going to Australia was certainly out of the picture and while I would have loved to have spent some time at a themed resort; I also knew that I had to be practical. Ultimately, I decided on Sesame Place and took advantage of a package deal for the hotel. Purchasing tickets for special dining events also helped with meal expenses and ensured that we would get some special character time. The Ideal Vacation Spot for Autistic Children? It couldn’t have been a better experience for her. If we were to travel now, however, my preparation would be similar in terms of researching and talking to fellow parents. The destination, who knows, it may just be the same. Traveling with an autistic child is not something that I would enter into lightly. And I don’t say that to be over-dramatic, I say that because it’s true. Any number of things could happen. But Kori, I hear you say, the same could be said for when you’re at home. And yes, you are absolutely right. But at home, you know this circus. But when you’re traveling and on vacation? Well, not so much. So what can you do to prepare for a vacation? Well, you could just skip the idea all together and stick to staycations or find a family member to babysit for your autistic child. Those two options seem a bit extreme to me. Though there’s nothing wrong with a staycation and really, we want to include all members of our family when we’re taking a family vacation… Right? Otherwise it seemingly defeats the purpose. So what can we do? We do what we always do. We prepare ourselves as best we can. In this hypothetical situation, or vacation planning in my head, I would start by picking a destination. Whether or not it’s “autism friendly” comes into play a little bit and I would call ahead of time to see if there are any accommodations that we can take advantage of. But that’s only the tip of the iceberg. Next is making a list of what to pack… My must haves for traveling, if you will. And yes, that would include typical things like sunscreen, medications, extra clothes, extra overnight diapers, a bed pad (just in case). You get the picture. That would also include more specific things like extra chargers for the iPad, headphones, familiar items from home (portable because we aren’t bringing along her favorite dining room chair), PECS, and sensory items. To help Sweet B get her sensory fix, we would take along things like a weighted lap pad, a weighted blanket, chewies, and a foam rocker board. It’s lightweight and around the size of a throw pillow, which makes it a great size for packing. 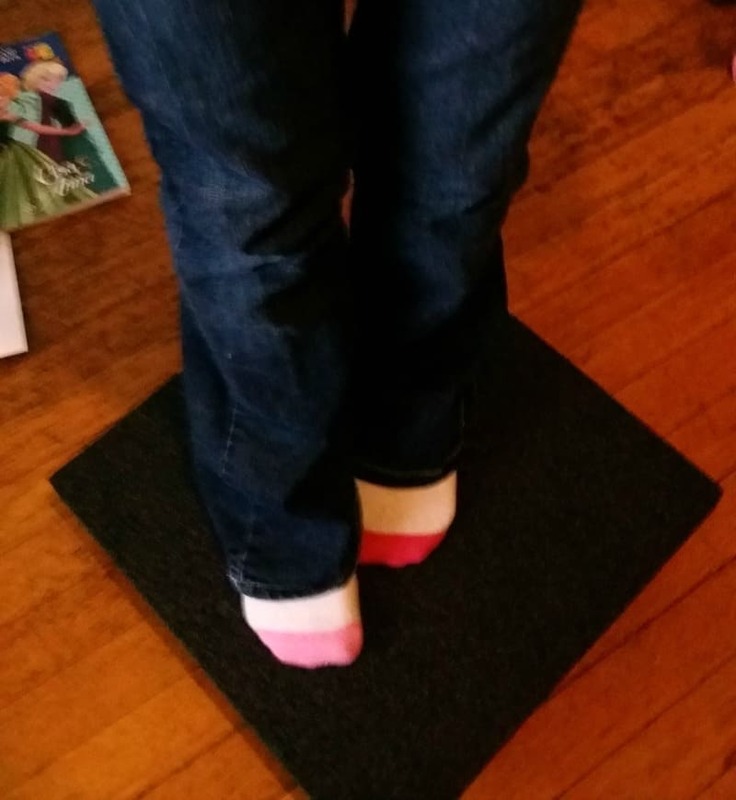 Our foam rocker board was sent to us from Fun and Function and we absolutely love it! In fact, I’m making Fun and Function my go-to destination. But why Fun and Function? Fun and Function is the leading resource of kid-friendly sensory tools. Fun and Function’s goal is empowering different and believes that differences make the world a better, more fun, and more interesting place to be. Fun and Function was started by occupational therapist and mom (of 8!) Aviva Weiss because she couldn’t find kid-friendly sensory tools that would fit her family’s needs. She channeled her frustration and turned it into a passion for creating the best sensory toys and tools on the planet. Improving the lives of kids with special needs is Fun and Function’s driving mission. Everything they make is kid-friendly, affordable, and most importantly, makes a real developmental and therapeutic difference in the lives of children. I encourage you to go take a peek and see what Fun and Function has to offer. 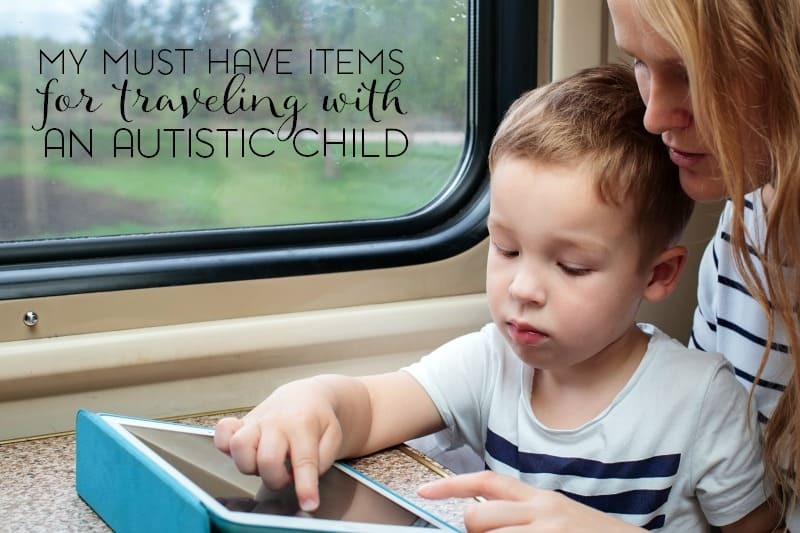 You may just find a few of your own must have items for traveling with your autistic child. Or for everyday use. I promised you a free printable checklist at the beginning, remember? And I’m holding to that promise! This checklist isn’t elaborate but it’s to the point. 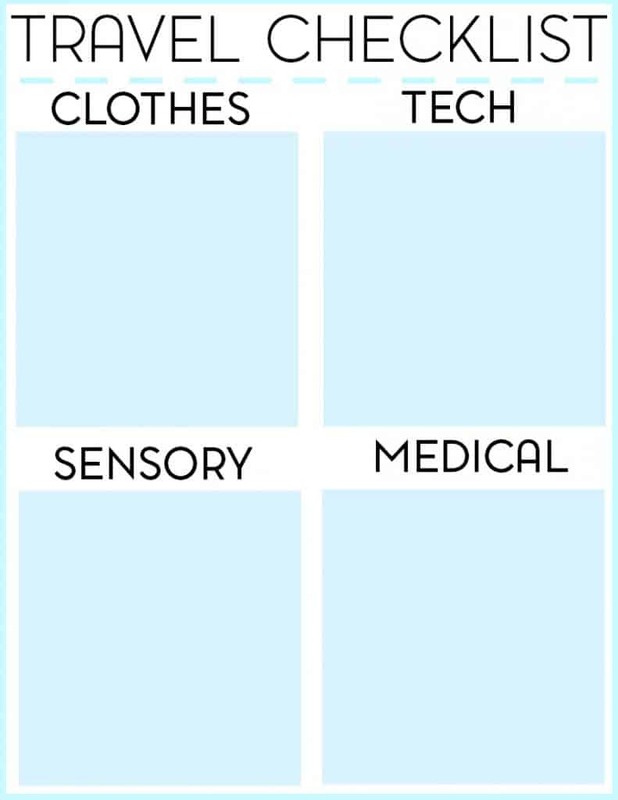 There are four sections on it for you to fill out that cover the following areas: clothes, tech, sensory, and medical. Food items, I think, could be their own list entirely. I need that rocker board for my son! We’re always looking for ways to challenge his balance! My toddler loves using it too! Admittedly, my autistic teen prefers to sit on it, lol. My son will love the Foam Rocker Board very much too! I love how prepare and organize you are when it comes to traveling with an autistic child. Trips for us have to be planned very well and this topic affect many families as well. We have a map and other things when we take a family vacation because our son loves maps. Yes. Traveling with kids can be challenging to begin with! This post was for more powerful than I would have thought for a “traveling with” post. I don’t have experience with dealing with autistic children, so the sheer amount of planning and thought that goes into JUST making the child feel comfortable is astounding. I can’t even imagine how different life would be for my husband and me if we had an autistic child. We do have an adult nephew who is moderately to severely autistic. My brother-and-sister-in-law have done an amazing job of finding vacations that accommodate his needs as well. But it’s so hard. This is a great post for anyone with autistic children. I imagine it isn’t easy, but everyone deserves a vacation! A dear friend of mine struggles with traveling with her autistic child. This post is both compassionate and practical and I cannot wait to share it with her. Such an important list! My oldest child is autistic and traveling is always a little nerve-wracking. Going to new places, unfamiliar foods, you never know what will trigger something. We try to take a lot of familiar gadgets and comfort items. Such great recommendations for parents of special needs kiddos! My youngest isn’t autistic, but he’s ADD with behavior issues. We DEFINITELY have to prepare well when we travel. Snacks are the most important things for him because he gets HANGRY!! 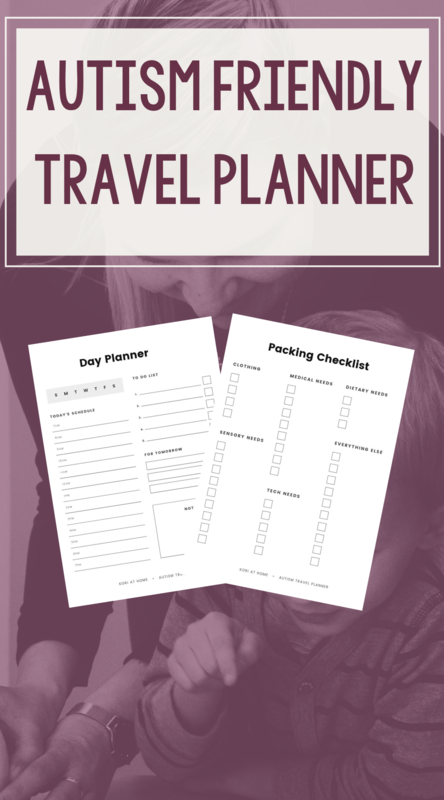 Making a list for travel is KEY for anyone traveling with our without children! I am supposed to be making one right now actually but I am procrastinating. This is a amazing article! I have never really thought much about the challenges, but it really makes sense. I used to nanny for a little boy who had Asperger’s and this list would have been so helpful! The rocker sounds like a great tool. My older son probably could have benefited from this when he was younger. He has ADHD and always had to be into things. It drove me bonkers. I always make sure that my kids have their favorite essentials when we travel. This is a great post and very informative for anyone. The check list is a great idea. This is a great resource for people! I think that having a checklist to go anywhere is so important – yet I am always forgetting things! This is a great post. I have a niece who is autistic, and I have watched her many times, so I know how hard it can get at times. Traveling long distances can be hard if you don’t have all the right things. Thanks for sharing this! I like your mindful approach to taking a child on vacation; we try and think of many of the same things for my son – what will make him feel at home, what will he need? What would sooth him if he’s feeling out of sorts? This is nice! Although my children are not autistic, I always have to some must-have essentials when traveling since both have ADHD. I love your preparedness and organisation – these are great tips for those who aren’t quite sure! 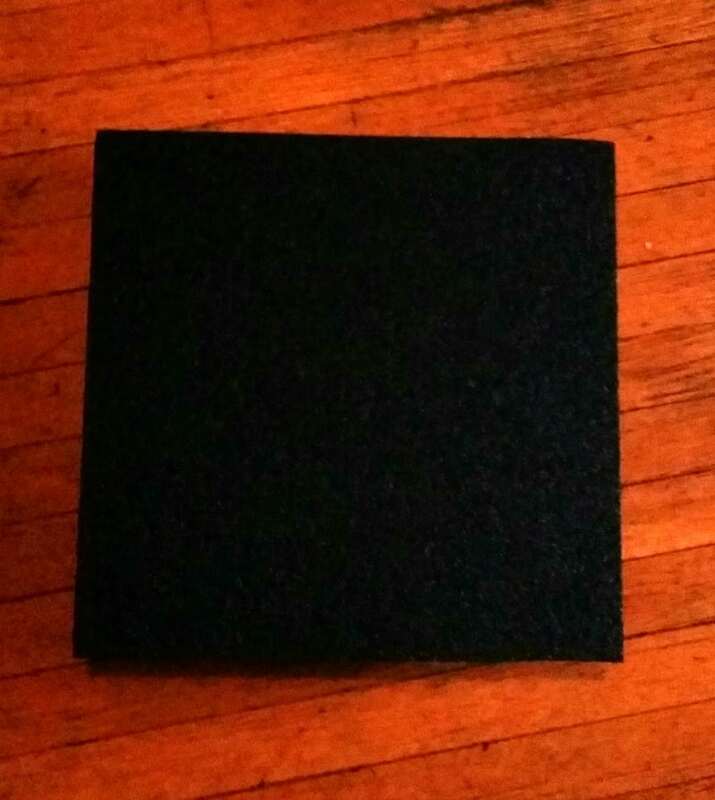 the foam rocking board is def something i never heard of before but I have a feeling my nephew would absolutely love it. thanks so much for the share! What a great checklist, we travel a lot and this is so useful! I have an autistic daughter and even though she is high functioning I still have to prepare her for longer trips! I always show her YouTube videos and pictures of where we are going etc so there is no surprise. I’m going to have to get her a rocker board!